if i bought this card will it opens ? Do you have a list of which graphics card are available, and the price? Probably you’ll get a better deal buying something used, considering how old that card is; also, which Motherboard and PSU do you have? Yes, the card support OpenGL 4.2 and 2.8 need 3.3. This is only for viewport. As your CPU is not the fastest it will help for render, too. The problem with the GTX 630 is that there are 3 different models, one with 96, one with 192 (OEM) and the Kepler version with 384 CUDA cores. Which one is the one you are going to buy? They “should” work in Blender 2.8, but the Quadro is a different beast. The Quadro is 2000 or K2000? (It doesn’t change much) but from this video, you can clearly see how fast is it compared to the GTX 670, on Maya. Can the Blender viewport take advantage of Quadro cards drivers? Blender 2.8’s requirements is still conservative enough where, chances are, you can find a used GPU on the cheap that will run it. A bonus, it will likely be better than your current card considering how old it is. thank you so much for your time and for this information i found new seller will sell me good cards for good prices after week from now i will try to get good one ddr5 2gb graphics card but the question is will my motherboard support any kind of graphic cards ?! Your motherboard supports “all” the GPUs, although it has only the PCIe 2.0 x16 lane. For example, both the GeForce GT 630 and the Quadro 2000 use the PCIe 2.0 x16 interface, other newer graphics card may use the PCIe 3.0 x16, in this case they’ll run with a slower bus speed, this doesn’t mean that they actually be slower in your motherboard than one with proper PCIe 3.0 x16 support. These two cards don’t need any supplementary power, as they use the one that the motherboard itself drags from the PSU, which is a maximum of 75W. Depending on the GPU you’ll buy, you need to check its TDP, if it’s more than 75W, you need to check if your PSU has one or more PCIe cables, they are 6pin, 8pin or 6+2pin (depends on the model). For example, my GTX 1060 has a TDP of 120W, and in fact it needs supplementary power, which it gets from the PSU through the 6pin connector (75+75W). So, check your PSU, and depending on what you find, you’ll get which GPU range is supported. Other than that, you have to check your computer case to see which maximum GPU length is supported, some GPUs are quite long and may not fit. 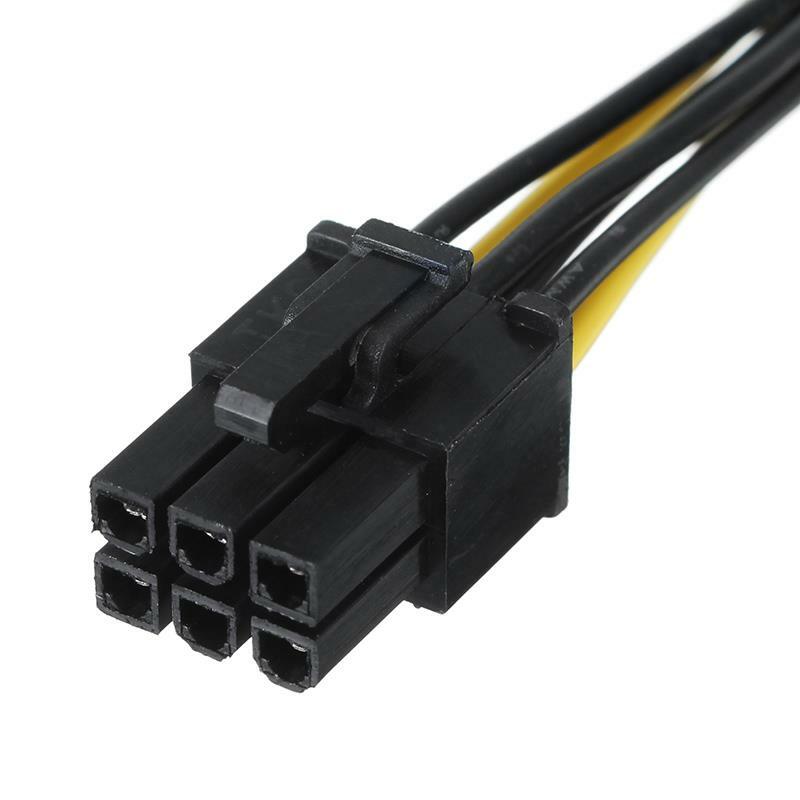 This means that your PSU needs to have those two connectors, even if meets the minimum requirements of 600W (from the Nvidia website), to work correctly. Don’t use adapters, they are not safe for intensive use.